Football is a way of life for some and there’s nothing more fun than bringing new people in to your passion. If there is a baby in your life you want to make sure experiences your teams greatest wins and follows their every move, here are some great ideas to help them enjoy their very first footy experience. This adorable onesie is perfect for the tiniest of people. It is very comfortable for your bub and will protects their feet from the cold with built in socks. This onesie is made from 100% cotton and is an AFL endorsed product. 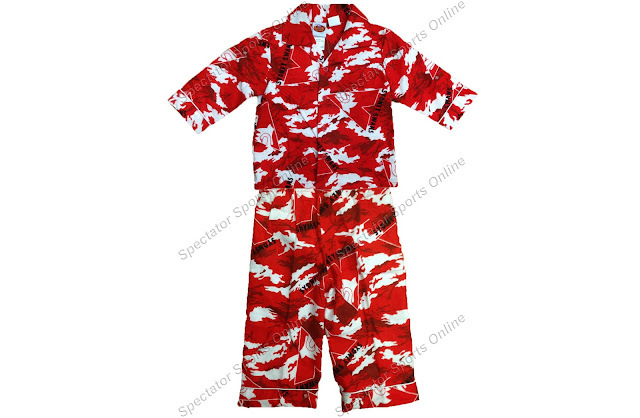 These pyjamas are made from a warm flannel material featuring the Sydney Swans official logo on them. This cute outfit is not only very comfortable and easy to put on but will also help your little one to support their team! This ensemble is rated low fire danger and is available in several different sizes. This is a really fun present for kids young and old. You can give your kids the opportunity to develop a passion for football at an early age by giving them this standard size, brightly coloured high bounce ball. 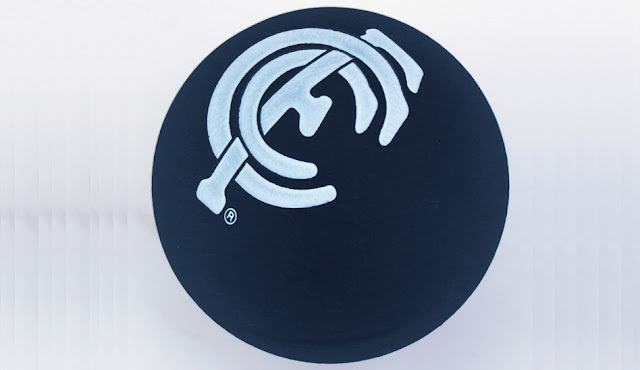 The ball comes with AFL team logo on it so no one will ever wonder who they support! 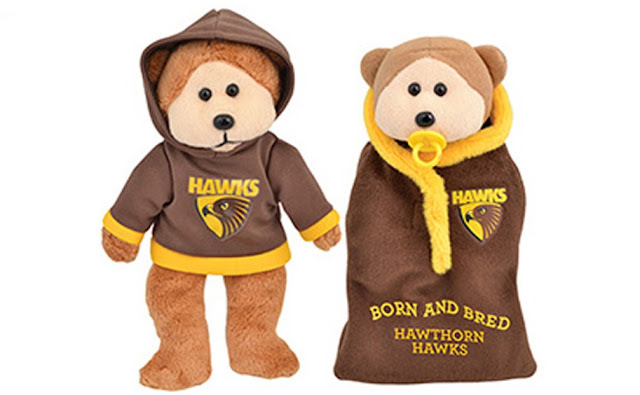 Give your kid a cute Beanie Kids Bear dressed in the Hawthorn Hawks supporter hoody with lovely soft feel lining and soft bean filling. These bears can be a great gift for the little ones and are popular with avid collectors. 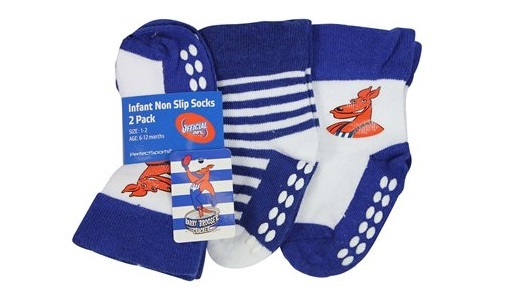 These socks are an official AFL endorsed product. You can support your team with your beloved little one. These are made of 78% Cotton, 20% Nylon and 2% Elastane. They are available in different sizes, from 0 months to 24 months so that you can choose the best one for your toddler. When it comes to the special baby in your life, you always want to give him or her the best that you ever can. Helping them develop a passion for football and follow in your footsteps by supporting your favourite team guarantees them wonderful life long memories. There are so many great, fun products to choose from, it’s so easy to start the children in your life on their way to fandom!